It’s foggy when the sun first hits the horizon. Like smoke rising from the milpa it bears itself over the Chiapan highlands. I sit motionless on a crowded second class bus from Palenque. Eyes peeled out the window in disbelief. There’s a road blockade, I’m in Zapatista country and I could burst with excitement. It’s Jan 1, 1994 when an indigenous movement was born out of this highland jungle. Storming the Zocalo or main square in nearby San Cristobal de las Casas and surrounding pueblos to declare their human rights and protest the years of impoverishment, broken promises and ongoing marginalization at the hands of the Mexican government. This movement would take the world by storm. This movement would inspire uprisings against corporatocracy, state repression and ongoing planetary plunder from the Battle in Seattle to Idle no More, from global indigenous movements as close as Guatemala and as far away as Australia. I have come in search of the women’s textile cooperatives I read about in Hilary Klein’s Companeras: Zapatista Women’s Stories. 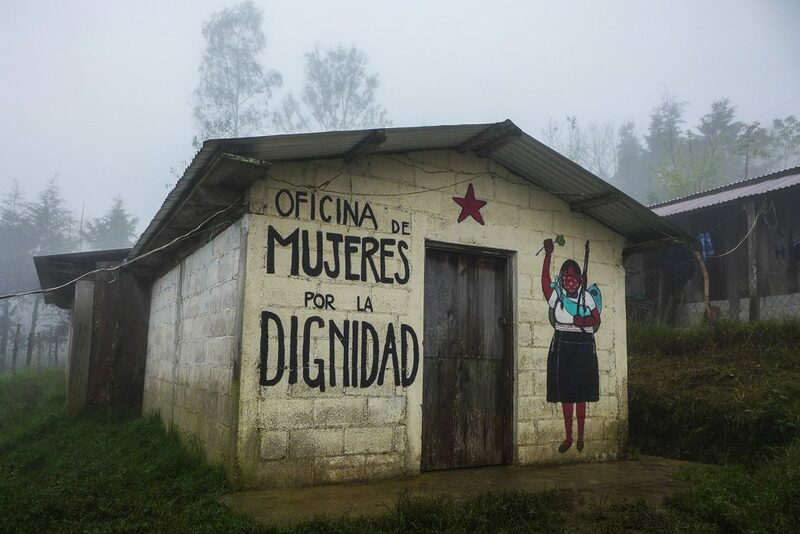 I have come in search of autonomous villages and the birthplace of Comandanta Ramona, a trailblazing icon for women’s equality in the EZLN movement, whose black masked video image standing at barely five tall before hundreds of thousands in Mexico City’s zocalo still gives me shivers down my spine. I was almost in tears when we rounded the corner into the small bus depot in Ocosingo half way to San Cristobal. She was sitting there, decked in bright woven colour, two large braids sat on either side of her head, hand woven baskets were piled to one side on the pavement beside her. She smiled at me the warmest smile, kindness radiating with a revolutionary twinkle in her eye. Her aire of contentment was contagious. And that’s when I knew I was in the right place. That she had been waiting for me. That another world is possible. 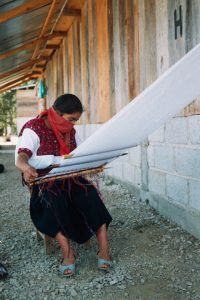 The amazing global success story Cooperativa Jolom Mayaetik, an all indigenous, women owned and operated traditional Mayan weaving cooperative outside San Cristobal, work at political, social and economic levels in their communities to eradicate racism, poverty and marginalization. Check them out and practice your Spanish!